Marble, a soft, calcium-based stone, seems to be directly associated with luxury, glamour and sophistication. 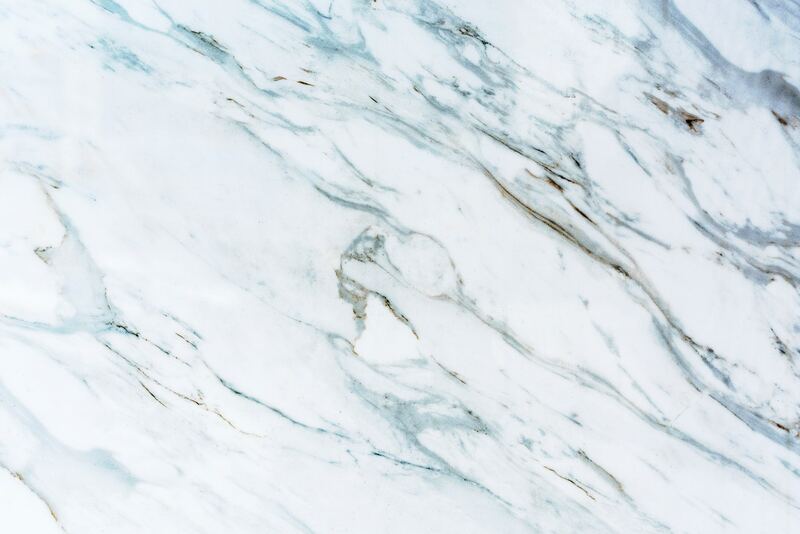 Often seen in wealthy homes, marble is classy and unique and is frequently on the pricier end of materials to use in your bathroom or kitchen. While this unique stone is beautiful and adds a touch of elegance to any bathroom, marble also requires a fair amount of upkeep. It must be cleaned on a regular basis, according to HGTV, and you have to purchase a specially-designed marble cleaner to use. Although marble is a sturdy material, it’s also porous. This means that marble can absorb impurities from liquids that it may encounter, such as water in your bathroom. While sealing your marble bathroom will help to repel staining agents, it won’t make the marble completely stainproof, Martha Stewart says. If you want a marble bathroom, be sure to properly seal your marble countertop, marble floors, or marble shower on a regular basis. First, spray your marble counter with a marble cleaner and buff it with a soft cloth, SF Gate recommends. According to SF Gate, this first step will remove any impurities from the surface that may impede the sealing process. Next, ready your marble sealer by pouring it into an open container with a mouth large enough to dip your paintbrush into. Be sure to turn on a fan or open a window before you complete this step, as marble sealers usually have high amounts of VOCs with an overwhelming smell. Now, dip your foam paintbrush into the sealer and begin painting the counter. Make sure you’re using slightly overlapping strokes and that you get all areas of the marble, including the edge, around the sink, and the backsplash, SF Gate says. Then, let the sealer sit for about 10 minutes. Finally, buff away the excess sealer with a dry cloth. SF Gate recommends using circular motions and rubbing the marble until it’s dry to the touch. 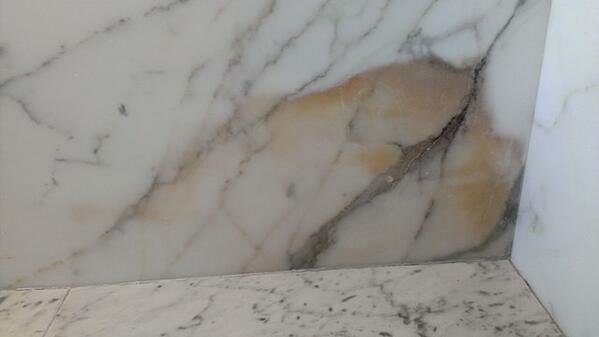 Because excess sealer can damage the finish of the marble, keep buffing until it is all removed. If you encounter a stain in your marble bathroom, or just need to keep up with the everyday cleaning of your marble floors or marble shower, follow the instructions below to clean your shower, countertops, and floors. Because cleansers that are too acidic can damage marble, according to WikiHow, begin by diluting dish soap with some warm water. This means you should avoid using products with lemon, vinegar, or bleach in it. Instead, opt for a gentle, non-abrasive dish soap that has a neutral pH. For the best results, WikiHow recommends mixing about 8 ounces of warm water with one tablespoon of dish soap. Then, put it in a spray bottle or other container and shake it to mix the two ingredients. Next, apply the mixed solution to the marble by directly spraying it onto countertops, or mopping the marble if it’s on the floor. Don’t apply more solution than you need. The surface should be damp, but there shouldn’t be any pools of liquid, so wipe any standing water away quickly, WikiHow says. Then, thoroughly dry the marble by wiping it down. This will remove any dirt and debris. To do this, use a hot, wet cloth or a damp mop. Now, use a soft, dry towel or mop to dry and buff the tile. Lastly, you can use a dust mop on your tile floor to remove any dust or dirt left over. 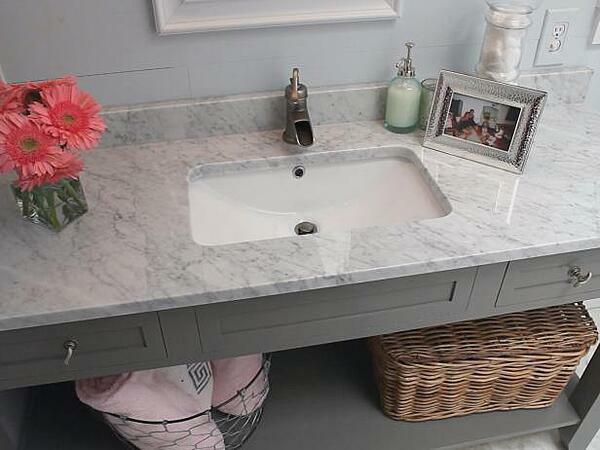 To remove an oil-based stain in your marble bathroom, such as grease or cosmetics, begin by using a liquid cleanser. Usually, you can remove such a stain with a soft liquid cleanser, WikiHow says. For fresh stains, WikiHow recommends using a gentle detergent. However, for older, more stubborn stains, try using ammonia or mineral spirits to remove the stain. Dilute the cleanser you need with warm water, and apply it to the stained area with a cloth. Then, use a clean, damp cloth to wipe the cleanser off and dry the marble. If that doesn’t work, or if your marble is stained with an organic material, like coffee or food, hydrogen peroxide is usually the next best solution to use. WikiHow recommends mixing 12 percent hydrogen peroxide with a few drops of ammonia. Then, apply the mixture to the stain on the marble using a cloth. Lastly, wide off the hydrogen peroxide with a damp cloth and then thoroughly dry the surface. The professionals at Vague & Vogue showroom can guide you toward bringing marble elements into your home to create a stylish bathroom. While it might be a big project and eventually require more care than regular tile, marble and marble tile will be a stunning addition to any space in your home.